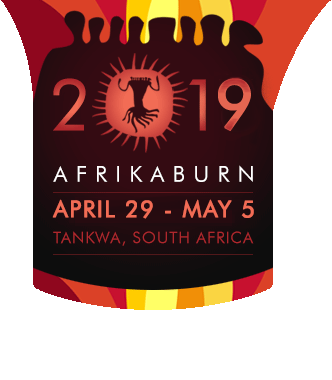 With every participant at AfrikaBurn expected to be radically self reliant, it’s an excellent idea to plan ahead in terms of waste management. 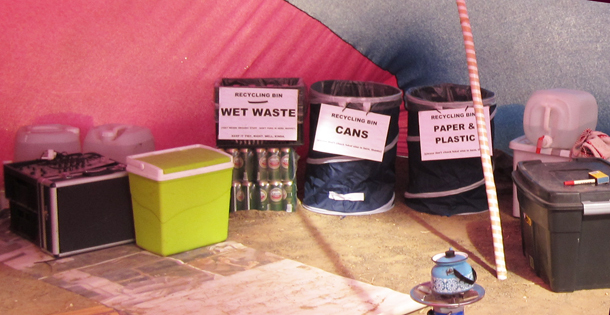 So, how do you manage your waste in Tankwa Town? It’s easy – Davina Hall, veteran burner, shows you how. Collect all commercial food packaging and any plastic, metal, glass, cardboard, wood, anything man-made: if it has food on it, like the small bits of tuna you can’t get off the edges of the tin, give it a light rinse and roll used cellophane/clingfilm into a ball throw it into one clear plastic binbag (the clear plastic part is important, as clear bags go directly to recycling plants for sorting). If for some reason clear bags are more difficult to obtain than black bags (cos you can’t figure out how to do that) or your MOOP person in charge doesn’t know what they are doing, black will work. Just make sure everyone in your camp doesn’t put all their food waste in it! If you follow this plan the bag will be clean, easy to transport and not smelly at all. Once you get home, it can be put next to the regular garbage wheelie at home and your municipal recycling unit will take it. Or, if you do not have this service in your area, take it to a recycle depot. For easily compostable vegetable/plant matter that you don’t want to eat or is waste, like veggie peels, rice stuck to the bottom of the pot (because you don’t know how to make rice), gooey serviettes, apple cores etc, when you are away from your compost bin and need to transport veggie waste, just double bag it in those numerous plastic carrier shopping bags you have filling your broom cupboard. This is easy, clean, and again not smelly and easy to transport. Someone in your camp will have a compost bin at home: send it with them. If not, think about creating one for yourself at home – you don’t need a lot of space, but if you really can’t find a compost bin, put it into your black wheelie bin once you get home. For any meat waste, bones, fat, off cuts of chicken skin etc, the scrapings at the bottom of your potjie, or your last bite of your chicken curry you didn’t eat and it went a bit ripe, double bag this in paper bags. You can also, whilst in the Tankwa, leave this outdoors to dry out, which will make it clean, neat and easy to transport, and won’t smell. This is the only item you should feel OK putting in the black wheelie bin, as this is the kind of waste that should be buried to disintegrate. 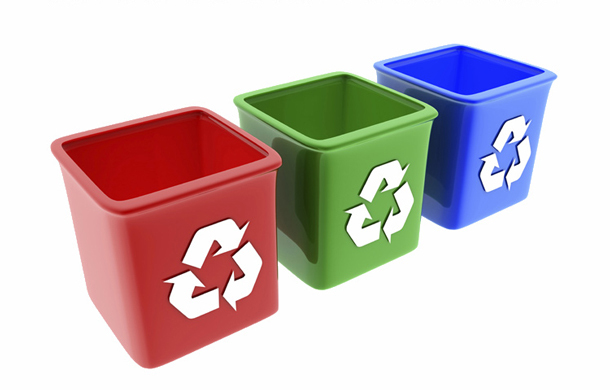 – Use 3 separate bins (get the collapsible ones at a hardware / outdoor store) and clearly mark them ‘CARDBOARD / PAPER / PLASTIC’, ‘CANS & TINS’ and ‘OTHER’. And make sure your campmates don’t mess with your programme! – Compress and crush anything that can be compacted: tins, cans, etc. This will reduce the space required to transport your waste. – Leave wet waste (vegetables, left overs, meat etc) out to dessicate in the desert air. This reduces flies, smells and liquids and make your load cleaner and more hygienic. – Remember to secure your trash bags on your trailer or vehicle – it’s a real heartbreaker (and really disrespectful) to see trash left on the side of the road on the R355. If you have any questions or are confused or threatened by your own waste management abilities, please email [email protected] and let’s see how we can fix and manage your lagging behind in this weird throw away culture of ours.